iPutty Marketing was launched to provide upstart, transitional, and growth phase companies with a single-source for developing and implementing marketing campaigns spanning all forms of media and the web. In terms of web development, no other company can deliver such a broad range of promotional options as quickly or affordably. OCG Creative is a creative agency that has made its name by delivering extremely high quality media and collateral on time, every time. The company is well known for print, advertising and other media, and has also kept a less prominent foothold in the web development space. On July 1st, OCG Creative acquired iPutty Marketing, which for several years had been a leading web development group in Northern Nevada. As a strategist, analyst and web developer, I devise, deploy and manage online and offline campaigns for hundreds of active clients across multiple industries ranging from hospitals to online retailers, destination resorts and others. Although my focus is on web, I have a lengthy background managing startups and growth-phase companies including outpatient care, medical/diagnostic imaging, specialty retail, product development and media. 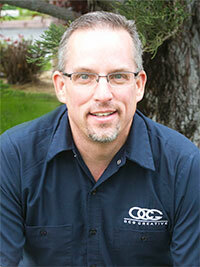 I am responsible for all areas related to market expansion and development within OCG Creative. This includes spotlighting emerging technologies and integrating them into our client’s marketing mix as well as our own, and also developing internals like project cycle, SFA, CRM and pipeline management. 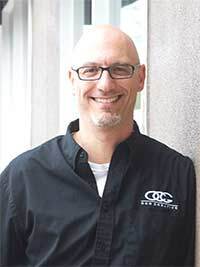 Todd is partner and lead in-house web developer at OCG Creative, LLC. Having graduated with an electrical engineering degree from the University of Nevada, Todd now applies to the web the same analytical thinking and creativity needed to complete detailed electrical engineering projects. Immediately following his formal higher education, Todd was swept away by the booming computer software industry, where he became well versed in computer programming. His knack for programming landed him jobs with IGT, Bally’s and GameTech. Immediately following his work with IGT, Todd fell in love with startup companies when he was part of the VC-funded telecommunications company, Sharegate for six years. After Shargate, Todd took time to become more involved with one of his loftiest passions: music. For an entire year following his time with Sharegate, Todd took a more involved role with the music store for which he acted as silent partner. 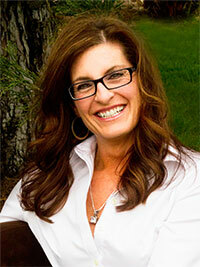 Jill is partner and lead project manager at OCG Creative, LLC. She enthusiastically leads the agency’s advertising department, specializing in media buying in major and rural markets. Her background with American Ad Company—which Jill started in 1993 and merged with OCG 15 years later in 2008—lends her the advertising experience clients have come to expect when purchasing media spots through OCG. American Ad Company, which was based in Elko, Nev. for six years, landed Jill with invaluable contacts in a number of rural areas throughout Nevada—locations where media buying can often times be difficult to navigate. Jill pulls from this experience to offer OCG’s clients the ability to advertise in outlying rural areas throughout the state. Jill holds her B.A. in communications and public relations from Chico State University and is the proud mother of two athletic children, Ryan and “Sweet Pea” Alexandra.